Renting a self-storage unit can make moving into a new home easier and less stressful. The thought of moving your belongings into a self-storage unit, and then moving it into your new residence may sound counterproductive. After all, why would you want to include another step in the already tedious task of moving? Well, there are several unique advantages to renting a self-storage unit when you move, some of which we’re going to discuss here. The truth is that most families don’t know just how much stuff they own until they get ready to move. From fine china and seasonal clothes to old kids’ toys, furniture, and electronics. You may assume that it will only take a single truck load to move your belongings into your new home, but once you start moving, you’ll realize it will take several. You can make moving a little bit easier by investing in a self-storage unit. Once you’ve rented a self-storage unit, you can transport some (or all) of your large/heavy items here long before your moving day. Rather than spending the bulk of your moving day carrying large items like couches, beds, dressers, and other furniture, you can focus on the smaller stuff. So perhaps you can finish moving in just single truck load instead of making two or three truck loads. Renting a self-storage unit will also clear out some space in your current residence, allowing you and any professional movers to get around more easily. It’s often difficult to move boxes, furniture and other items through a cluttered home. You may trip and stumble on something, causing the box to spill to the floor below. Moving the clutter out of your home and into a self-storage unit will reduce the risk of this happening. If you are downsizing to a smaller residence, you’ll likely find a self-storage unit to be an invaluable asset. Trying to force all of your belongings into a smaller home won’t work. Even if you can physically get them in the door, you’ll probably find furniture and boxes cluttering the floor and restricting the normal use of your home. Don’t allow your new home to turn into a cluttered home. Whether you are downsizing or upsizing, consider renting a self-storage unit to make the process run a little smoother. You can use it for temporary storage, or you can keep things here for months of even years. 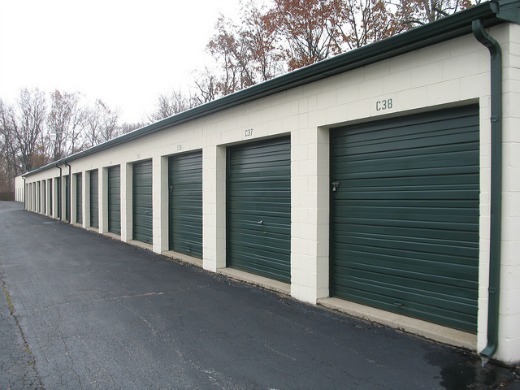 Self-storage units are a great way to clear out space while reducing the labor required on your moving day. Our team of moving professionals are here to help. 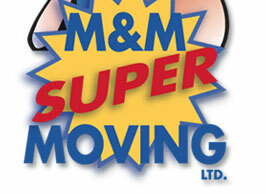 We specialize in making your move as easy and stress-free as possible and we would love to help with your next move. Get a free online moving quote today. Read more storage tips here.